1. 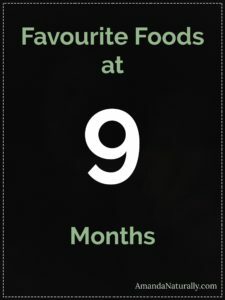 If you’re interested, read the previous posts in this series first: First Foods, Favourite Foods at 6 Months , Favourite Foods at 7 Months and Favourite Foods at 8 Months. Food really started to become a thing around 9 months. Suddenly Baby H was really into it and eating a substantial quantity. So much so that it started pushing nursing sessions, which I was completely ok with because she still nursed a lot! Up until now food was more of a fun, experiential thing. Great for learning flavours, textures and pincer grip (as well as how to sit at the dinner table), but it didn’t have ever seem to fill her up. Then she hit 9 months and started eating! Now, instead of her getting a bite of our meals, she started making an impact! For example, our favourite sausages come in a package of 4 at just over 1lb of meat. We used to cook 1 package, each have 1, and have 2 leftover for our lunches the next day. Now the kiddo can polish off half a sausage to herself some nights, putting a serious dent into our leftovers! Same thing with ground beef – I used to cook 1lb, now I have to cook 2lbs to make sure we have leftovers! Another thing that happened around this time was Baby H started realizing what was on our plates vs. hers. I was surprised at how quickly this happened. So gone are the days (already!) of us eating gluten-free pizza with goat cheese, and making her eat sardines – LOL. This was a really great lesson in setting an example though. Babies are incredibly aware of their surroundings, so if you want them to eat well, you need to as well. 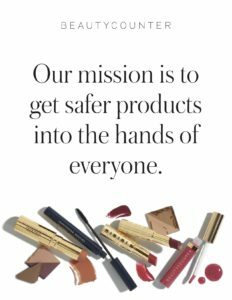 Speaking of being aware, she also started to get a little choosy about what she wanted. Now, it didn’t mean she became “picky, although it could easily have been interpreted that way if we didn’t give her time and variety. What seemed to be happening was she wanted some control over what she ate. So we made sure to offer her 3-5 different foods (anything green was literally her fav) and allowed her to pick and choose during the meal. Interestingly, if she polished off all of her blueberries first (what’s with every baby and blueberries??) she often moved on to the other things on her plate once they were gone. Giving her control, within set limits, proved to be very effective at creating pleasant meals where she ate most of the food we gave her! And if she chose only to eat avocado and blueberries for a meal? We didn’t sweat it. There’s no forcing a kid to eat and those are damn healthy foods. She also always seemed to naturally balance out by eating 1.5 eggs the next morning or half a sausage at lunch the next day! I had planned on trying organic goat yogurt around this time, but unfortunately she had an eczema flare (secondary to me trying to reintroduce ghee into my diet) so I’m waiting until it resolves. Grassfed butter and fermented, high-fat dairy absolutely can have a place in a baby/child’s diet, just be very aware for possible reactions. The last thing I want to do is scare anyone (because most people are already terrified about solids), but an immunogenic response to dairy is a major contributor to quality-of-life health issues in kids. Everything from ear infections and chronic dribbly noses; to eczema and diaper rash; from reflux and constipation or loose stools; to bedwetting and behavioural issues (in older kids). Many foods can be associated, but there’s something about dairy (followed closely by gluten) that just seems to exacerbate these common childhood health issues. Mostly we’re a meat/fish, veggies, starchy veggies (occasionally rice or sweet potato noodles) and quality fat household. smoothie – like my Green Mango Smoothie, but with exclusively collagen, no protein powder. My other favourite flavour combo right now is frozen raspberries, frozen mango, spinach, collagen, full-fat coconut milk and a splash of raspberry kombucha. I’m obsessed with meal planning right now, which is something I’ve never done! But having to make a decision every day about dinner had become super stressful. So now I make a plan on Sunday for Monday-Thursday and we eat well, don’t waste food and still have the weekend to be flexible or play around with fun recipes. As a result, I have about 10-15 recipes that I rotate through, some of which show up every week. sausages, roast potatoes, broccoli & cauliflower (all on baking sheets, all in the oven for 45 minutes at 375) with sauerkraut and sautéed onions if I have time! thai curry shrimp on rice or sweet potato noodles (no recipe, simply sautee desired veg, set aside. Quickly sauté shrimp seasoned with salt and pepper. Deglaze pan with bone broth & thai curry paste. Add veggies back in and some coconut milk. Serve over noodles or rice. We’re not huge believers in snacks over here, mostly because it often means meals aren’t being designed properly, or you’re not actually hungry but bored! For kids, snacking often results in being picky at meals because they know they can have a snack later. I love that you were eating probiotic foods every day! I wonder what sort of benefits that adds to a woman who is pregnant vs someone who is just living everyday life. 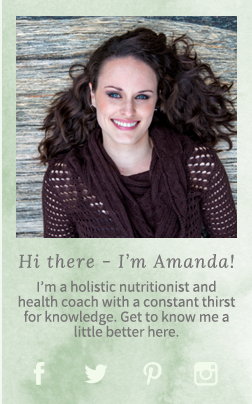 Thank you for letting us into your world of diet and your experiences during that process!